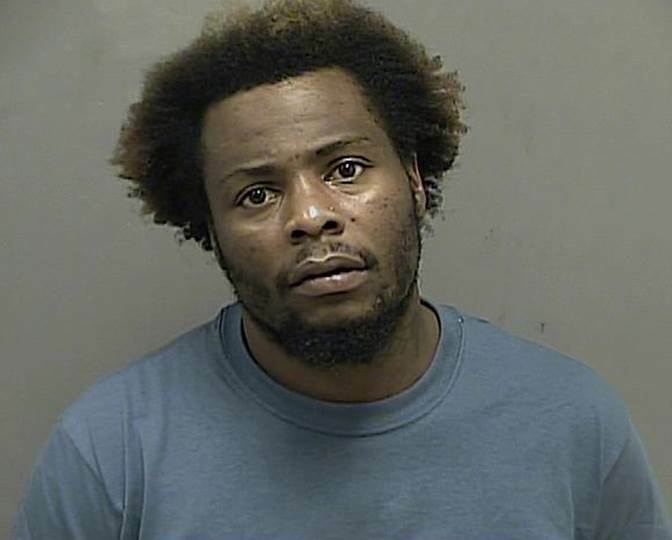 A black male adult suspect, later identified as Landon K. Ferguson, had been staying at the Comfort Suites, located at 3005 Bays Meadow Place in Kingsport. He walked from there to the nearby Hampton Inn, located at 2000 Enterprise Place, entered the lobby, and approached the counter. He ordered the clerk to give him all of the money and her car keys. The clerk complied, and the suspect fled the scene with an undisclosed amount of cash. After fleeing Hampton Inn, Mr. Ferguson walked to the nearby Hardee’s, located at 1401 South John B. Dennis Highway. He encountered two women sitting in their vehicle in the parking lot. He asked them for a ride and immediately placed some personal items in their back seat without receiving consent. He then told them that he was going inside to get a drink. Mr. Ferguson went inside Hardee’s and approached an employee at the counter. He placed his hand in his pocket feigning having a concealed firearm, and demanded the contents of the cash register. The clerk complied, and Mr. Ferguson exited the restaurant with an undisclosed sum of money. Mr. Ferguson then got into the car with the women, who were completely oblivious to the two robberies that had just occurred, and instructed them to drive off. The women reluctantly agreed. As they traveled northbound on John B. Dennis Highway, they observed several police cruisers, with blue lights and sirens activated, traveling in the opposite direction toward the scene of the crime. Mr. Ferguson began acting strange, ordered the driver to drive faster, and told them that he had a weapon. Sensing something was amiss, and in fear for her safety and the safety of her friend, the driver pulled over to the roadside near the John B. Dennis Highway at Fort Henry Drive interchange. Mr. Ferguson exited the vehicle, with the women immediately calling the Kingsport Police Department to reporting what had just transpired. Multiple Officers converged on the scene and soon spotted Mr. Ferguson walking in the area. He was ordered to stop and was quickly apprehended without further incident. He has been charged with 1) Robbery, 2) Aggravated Robbery, 3) Two Counts of Aggravated Kidnapping, and 4) Carjacking. He presently remains confined in the Kingsport City Jail in lieu of a $215,000 bond as specified by the presiding judge.